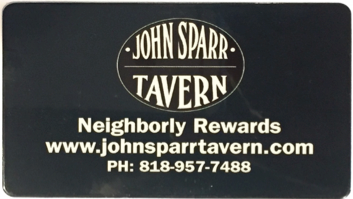 John Sparr Tavern Neighborly Rewards is a super simple customer rewards program. Just join and eat. We’ll handle the rest. Every dollar earns you points towards free food no matter if you dine in or take out. Just a couple visits could earn you free food. You’ll also get special money-saving offers, valuable birthday cash and insider secrets.